Postnatal exercises can be confusing to wrap your head around. While we know having a baby is a wonderful thing and in the early weeks the focus is mostly on feeding and sleeping, once you’re in the swing of things, you may feel ready to get out and exercise, especially if it was a big part of your life before the birth. The key is not to do too much too soon, but how do you know what’s safe and what should be avoided? We called on Pip Black and Joan Murphy, founders of boutique fitness studio Frame London, to share and answer all the postnatal exercise questions that go through many new mum’s minds. You see, the duo have pooled their expertise and recently launched Mumhood, an online workout platform for new mums and mums-to-be so they can workout anytime, anywhere. Keep scrolling for this expert guide to postnatal exercises, and the most important move you can start doing right away. Q: If I want to get back to exercise, what should I be looking for at my six-week check? A: It is so important that you leave your six-week check understanding how your body is recovering from your pregnancy and birth. Ask your GP to check for your ab separation so that you know what you’re working with, and ask them to check any stitches, etc. If anything isn’t recovering quite as it should be, you need to understand how you can help with this, but also this will affect what type of exercises you can start to do. Q: Who should I be speaking to if I’m still not sure about my post-pregnancy recovery? A: Book to see a women’s health physiotherapist if you are still at all unsure. To put things into perspective, every woman in France gets 10 free physio sessions post-birth to help with her rehab. We don’t receive this option as standard on the NHS (although if you push at your six-week check, you may be able to get some physio on the NHS). If this isn’t offered to you, but you have significant ab separation or you want to ensure that your recovery means the chance of issues such as incontinence are less likely in the future, we would suggest visiting an expert, who can help you understand the current state of your body and help you with your rehabilitation. Q: Should I get straight back into it or start with baby steps? A: Little and often is the best way to start your postnatal exercise journey. Don’t put yourself under any pressure to lose your baby weight quickly, especially if you are breastfeeding. You will see significantly better results long-term from creating excellent foundations, with a strong pelvic floor and deep core connection. The key to these exercises is little and often, so think about doing 10 to 15 minutes a day at least four times a week. This will be much more beneficial than a 60-minute blowout once a week. Q: Should I be worried about ab separation? A: This is so important! Make sure you’re not doing any exercises that will aggravate any ab separation. Any exercise that causes “doming” (where you see a ridge down the centre of your tummy if you come into a crunch position) should be avoided. If you can see this happening, you need to take modifications on the exercise. As a rule of thumb, no exercises that work your “six-pack muscles,” e.g., crunches, should be performed if you still have any ab separation. These exercises will cause the muscles to stretch further apart and make it much harder to get rid of your baby pouch in the long term. We have lots of information on this on our Instagram, @mum_hood. Q: When should I start my pelvic floor exercises? A: Start your pelvic floor exercises straight after birth, and never stop! There’s no reason you can’t start your pelvic floor exercises straight after birth. You should really aim to do these daily, so pop some Post-It notes around your house, so every time you see them, you are reminded to do them. If you are finding it hard to know if you’re doing these exercises correctly, you can invest in a device such as Elvie (£149), which links to an app on your phone to tell you if you’re doing them right. Q: What are the benefits of working out with a fellow mum? A: We can’t stress enough how important it is to find a class near you so you can socialise with other new mums. We have load of Mumhood classes on the timetable at Frame (four locations around London) where you can get a sweat on, meet like-minded mums and know that you’re working out in the presence of an expert who can ensure you’re performing exercises correctly. It’s so much more fun (and more affordable) to join a class rather than paying for a PT. Our classes are designed so that you can bring your baby with you, so there are no added childcare costs. If you’re not based in London, check online, as there is likely to be postnatal classes nearby. Q: How long until I can go back to high-intensity interval training? A: Keep exercise low-impact for the first six months. Whilst you’re still in your rehab process, it’s a good idea to keep your exercise low-impact. This doesn’t need to mean low intensity: You can still get a sweat on and get your heart-rate pumping; it’s more about reducing pressure on the pelvic floor before you’ve found your connection post-birth. You can still attend HIIT-style classes, but take the low-impact option, which any good instructor will be able to provide. Another reason to keep exercise low-impact is because the hormone relaxin (which helps the ligaments relax during pregnancy and birth) is still present in the body for six months post-birth, or until you finish breast-feeding. Q: Top tip for post six-months? 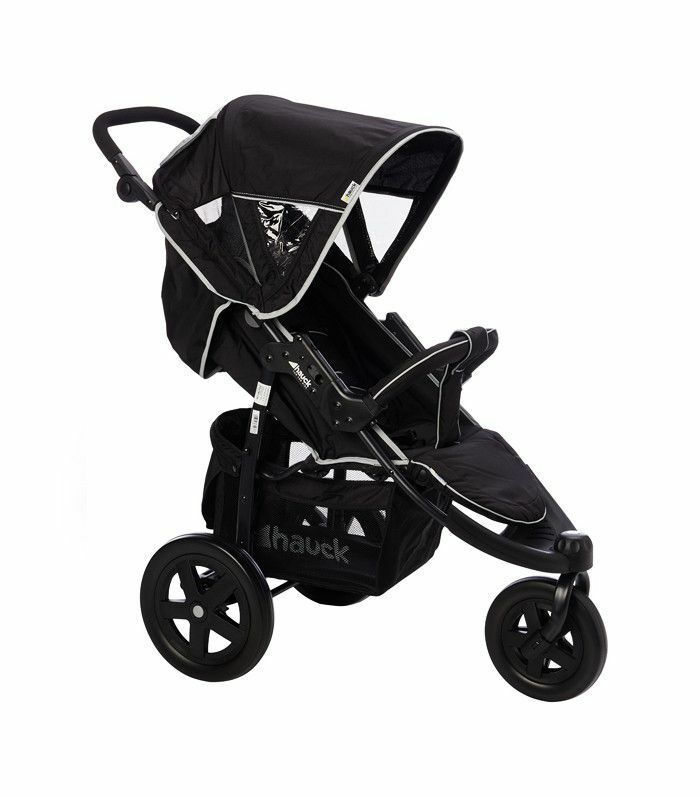 A: Once you’re back to feeling like your old self and the pelvic floor is feeling strong, invest in a running buggy. It’s such a great way of multitasking and fitting in exercise when you don’t have childcare to hand. A run round the park whilst baby sleeps is one of the best ways to start the day, and once you’ve invested, it’s FREE! Both exercises start in the same position, lying face down with arms and legs outstretched. Keep shoulders down away from your ears and a long neck (continue to look down towards the floor), engage through your core by pulling your belly button up into your spine, and then use your back muscles to lift your upper body off the floor. From here, pull your elbows down towards your waist, keeping your body nice and still (lat pull down) repeat five times and then return to start position. Aim for four to six sets. Or, keeping your upper body nice and still alternate the arms in a swimming motion (Swimming). Try for 15 seconds before returning to the start position. Aim for four to six sets. A great exercise to stretch around the shoulders, perfect for when you've been carrying a baby around all day. Starting on all fours, hands directly under your shoulders, knees and your hips. Start with your right arm, reaching it long and taking it up to the sky. Hold it here, to feel a great stretch across the chest, then thread this arm under the left arm, back of the hand to the floor, reaching the arm as far away as you can. Again hold this stretch with your shoulder resting on the floor. Then flow freely from each movement to the other in time with your breath, breathing in as you reach up, and out as you thread the needle. Another stretch great for new mums, who are likely to get tight chests and shoulders. Take your elbows out as if you were hugging a ball and let your neck relax down. Keeping the elbows wide, imagine that someone is pulling your hands away, and you'll feel a great stretch across the shoulders and back. For the chest stretch, take the hands behind your body and clasp them. Think about your shoulders moving down away from your ears, and without letting your back arch (tuck your tailbone) reach the hands back and down. You can take this stretch a little further by standing up with your legs wide and folding forward, letting your head come towards the floor and pulling the clasped hands away from your back to create an even deeper stretch. Online access to Mumhood for the Postnatal Phase 1 costs from £75 for four months, while Postnatal Phase 2 costs £80 for four months. Next up, everything you need to know about exercise during pregnancy.